The holiday season is in full swing and I have some fabulous holiday gift ideas for the wine lover in your life on today’s show. Plus, tis the season for entertaining, I will share some of my favorite host gifts, easy entertaining ideas for quick appetizers, recipes for delicious wine cocktails and perfect pairings on this episode of Crystal Palate’s Wine Country to help take the stress out of your holiday season. 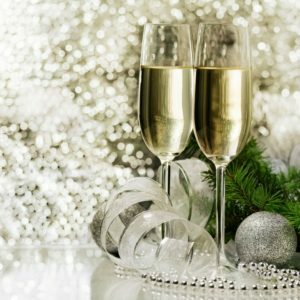 I am sharing 3 of my go-to recipes for fabulous and festive appetizers and my top 3 sparkling wine cocktail recipes, plus a delicious recipe for holiday sangria! Crystal Palate’s Wine Country airs every Saturday morning at 8:30 on Cville 107.5 and 1260 WCHV. You can stream the show live each week on WCHV.com in Virginia. You can also download the Tune In App to stream the show from anywhere nationwide or catch up on all episodes here.